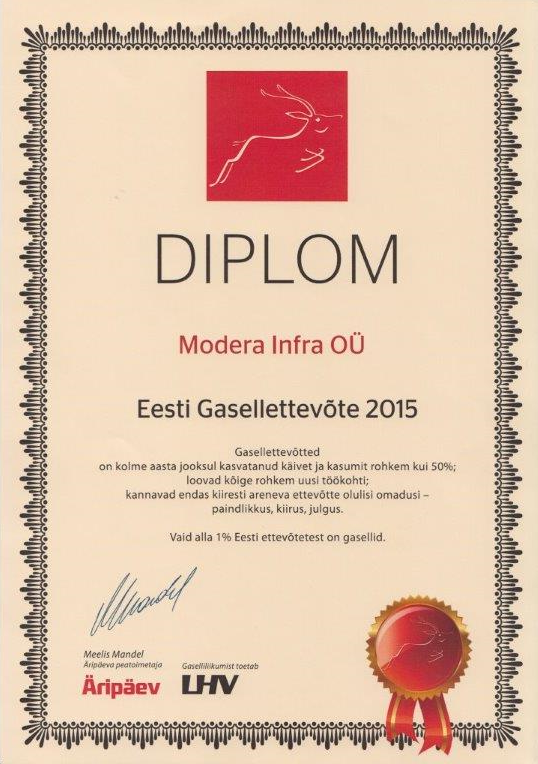 The Estonian financial magazine Äripäev awarded Modera Infra OÜ with the diploma “Eesti Gasellettevõte 2015” (“Estonian Gazelle-Company 2015”). “Gazelle-companies” are companies, who have increased turnover and profit more than 50% in the last three years, who create the most new jobs and convey the essential characteristics of a rapidly growing company – flexibility, speed, courage. Less than 1% of Estonian enterprises are gazelle-companies.